If your cabinets are unattractive but otherwise in good condition, you do not need to invest in costly cabinet replacement. Cabinet Magic can give you the transformation you want to see, without breaking your budget. Our secret? cabinet refacing in Seal Beach CA. What Is Cabinet Refacing in Seal Beach CA? 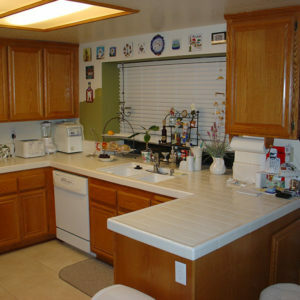 With cabinet refacing in Seal Beach CA, most of your cabinetry will be left in place and reused. We will only replace the doors and drawer fronts. Adding or replacing crown molding is optional. To complete the look, we’ll cover any exposed cabinet surfaces with a new material matching your new cabinet doors and drawers. Cabinet Magic is a respected manufacturer of custom cabinets, and we put the same craftsmanship into our new doors and drawer fronts. We will make them to your exact specifications. We have the ability to fabricate any style of cabinet door along with a complete range of paint and stain options. Cabinet refacing in Seal Beach CA is also an excellent opportunity to update your cabinets to include new features like soft-close door hinges, shelf pull-outs, and built in spice racks to name a few. Are you ready to make the kitchen of your dreams a reality with cabinet refacing in Seal Beach CA? Cabinet Magic is here to help. We are confident we will meet and exceed your expectations with superior craftsmanship and service. For a free in home estimate on cabinet refacing, please contact us at 800-828-4380. We’ll be happy to schedule a visit from one of our design specialists.